Savannakhet (Agenzia Fides) - Seven Christians were taken to prison for religious reasons. 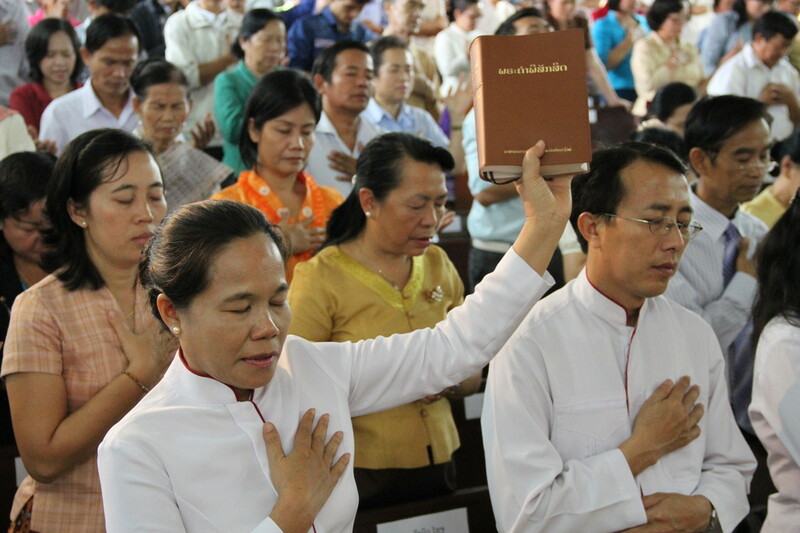 As reported by Agenzia Fides, on December 29, 2018, a group of nine police officers, led by the police chief of the district of Phin, stormed a Christmas church service in Nakanong Village in Savannakhet and arrested 3 leaders of the local evangelical Christian community: Akeo, Kert, and Somwang. The arrested were charged with illegal gathering for Christmas church service without permission. As reported to Fides by the NGO "Human Rights Watch for Lao Religious Freedom" (HRWLRF), the three church leaders are detained in the Phin district police headquarters. Soon after, the police returned to the Nakanong church and detained four more Christian men (Boulai, Champee, Agàe and Ayoung). Security forces also demolished the stage, cut off the power line, destroyed the sound system, and seized three mobile phones.